It is 70 years since Billy Stott of Wakefield Trinity was the first to be presented with this prestigious trophy after his side’s victory over Wigan in 1946. Many greats have gone on to win the coveted award including Alan Prescott, Alex Murphy, Joe Lydon and Ellery Hanley. Some have gone on to win it multiple times with Paul Wellens, Martin Offiah and Andy Gregory all winning twice. Some have even shared it with Wigan’s Ray Ashby and Brian Gabbitas of Hunslet in 1965, as well as Paul Wellens and Leon Pryce in 2007, doing just that. Even more impressive is Sean Long’s record of winning three times with this year seeing him celebrate the 10th anniversary of his third win. Others celebrating anniversaries include Jason Robinson who won it 21 years ago in 1995. 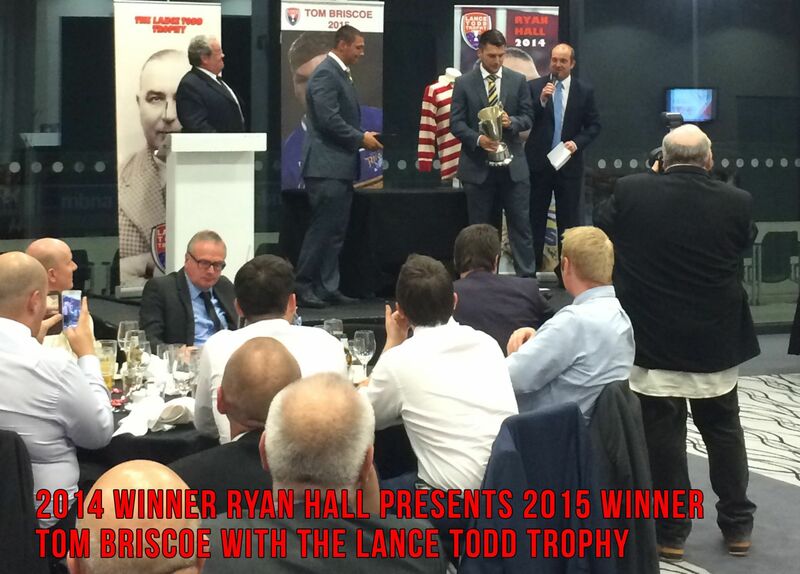 Last year saw Leeds Rhino Tom Briscoe pick up the award after his 5 tries in his side’s victory over Hull KR, but whilst the masses recognise these names and associate the man of the match award at the Wembley held Challenge Cup Final, with the name of Lance Todd, not many know the story behind it. Lance Todd was a New Zealand born rugby player and coach who died in a car accident during a blackout in 1942, whilst serving in the Home Guard. He was a hugely popular character who coached Salford to their one and only Challenge Cup Final triumph in 1938. To celebrate his life, the Salford RLFC past players association commissioned a trophy to be awarded at the Challenge Cup Final each year. The Award is traditionally presented to the winner at a gathering of the Red Devils Association on the Wednesday immediately after the Saturday’s cup final. This year is no different when a player from Warrington or Hull will claim the coveted prize. In recent years Salford Red Devils Foundation have taken over running of the event alongside the Red Devils Association, with the 2016 event being held on 31st August at the AJ Bell Stadium.